Orient Constructions is a fully fledged construction company with offices in Sri Lanka and in Thailand. 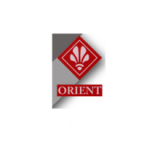 Orient Construction Co, the flagship of the Orient Group of Companies commenced operations 1998 and is a registered Limited Liability Company. Orient Construction Company in Sri Lanka builds your dream house embedding excellence in to every brick of it and preserving the good name of the construction industry. Orient Construction has geared itself, and has the capability to meet the very high demands of the modern construction industry in terms of maintaining high standards of building techniques by strictly adhering to the code of conduct of the relevant Professional Institutions.